Do you find your phone disappearing for lengthy periods, only to find it in the hands of your child, who is 10 minutes into a game of Angry Birds? I’m not going to pretend to know a lot about the game, but I know that it’s obviously worth stealing Mom or Dad’s phone for. When our Children’s buyers told me that they were getting a line of Angry Bird merchandise, my Mom-of-the-Year impulse took over and I immediately picked up a tee for my little guy. Mom of the Year? Try Mom of the Century. My ears are still ringing from the squeals of excitement. 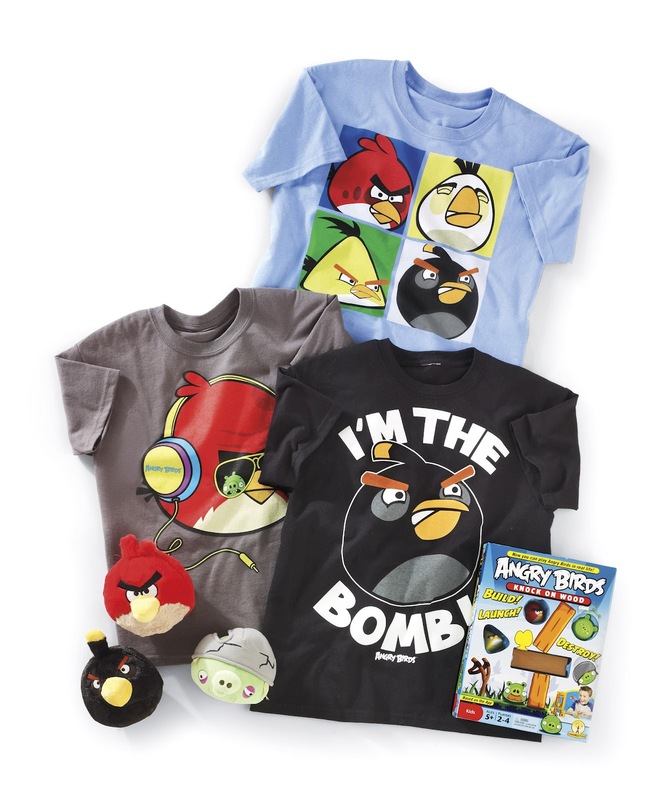 I’m still not going to give in to unlimited video game time, but wearing a cute Angry Birds tee once a week? I can get behind that. Ready? Set. Launch! !